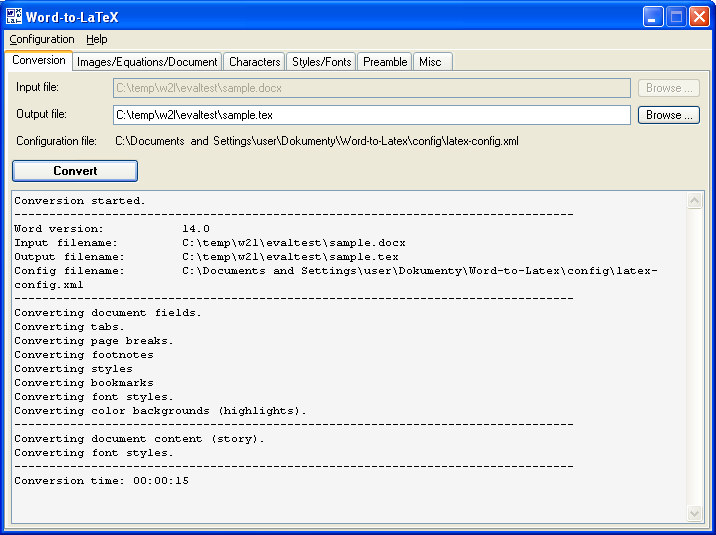 Use Word-to-LaTeX tool to convert any Microsoft Word document to LaTeX, TeX, or clean XML. The software is fast, accurate, and highly configurable. 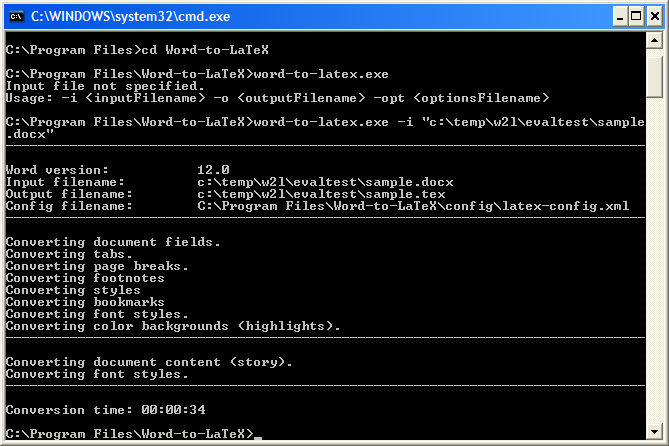 Word-to-LaTeX runs on MS Windows XP/Vista/7/8 with MS Office XP/2003/2007/2010/2013 installed. 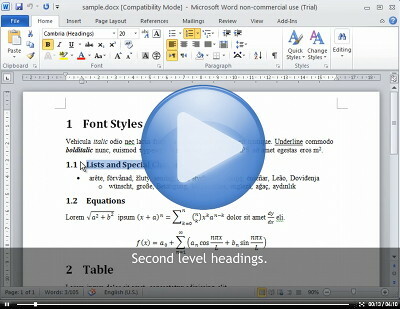 Download Word-to-LaTeX and join the huge community of our users. 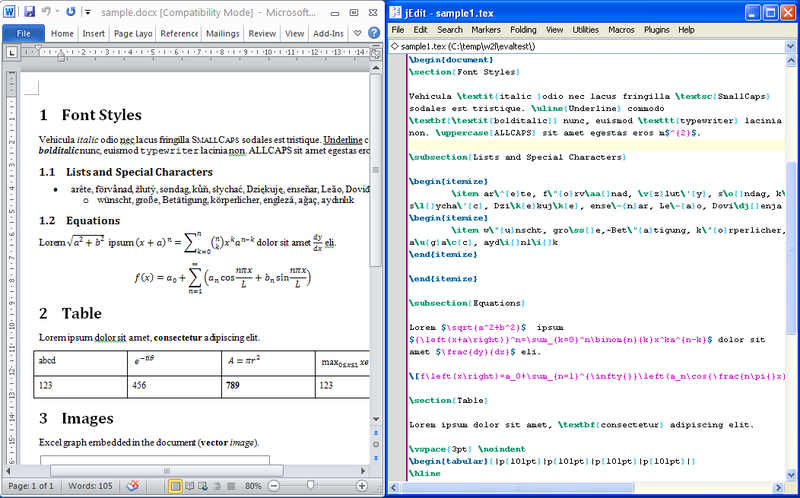 At Word-to-LaTeX we convert all kinds of Microsoft Word documents to LaTeX, TeX, AMS-LaTeX, and other TeX flavors. Simply upload your document and we will do the rest. You will receive a camera-ready document (in TeX/LaTeX and PDF) without the need to know anything about TeX/LaTeX. Among other things, Word-to-LaTeX converter allows you to export any part of a Microsoft Word document into an EPS graphics file. 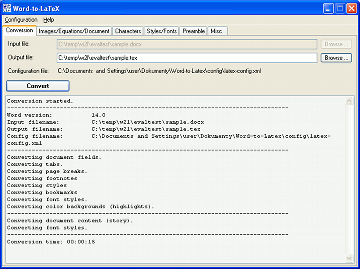 Do you need to insert your Excel graph, a Word table, or an image in a LaTeX document? Let Word-to-LaTeX do its job. Word-to-LaTeX tools and services are used by thousands around the globe, at universities, technology & science firms, and other organizations. Students convert theses, and professors and engineers convert their papers and reports. Read what our customers say. Thanks for your support. I will continue to use your program and I'll recommend it to others. Thank you for the great product. It is a wonderful tool, especially when making tables to embed into research. Latin special characters, Cyrillic, etc.